A circle has no beginning or end, therefore it’s a symbol of infinity. Wedding rings are symbolic pieces, indicating the wearer is committed to another person in the union of marriage. We at Shining Diamonds are dedicated to the idea that the gift of a wedding ring is the most romantic gift one can possible give. They are the most enduring elements of your wedding day and symbolise the love and commitment between two people. Whatever your preferred style or metal, our stunning ladies wedding bands are available in platinum, palladium, white, rose or yellow gold and designed to last a lifetime. Our women's wedding bands can be viewed in our London branch or purchased online. All our men's wedding bands are available in platinum, palladium, white, rose or yellow gold, available in simple and classic plain metal designs to diamond set wedding bands. Whatever your taste, we have the perfect ring for you. 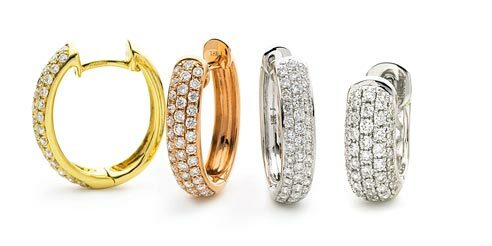 Rings can be viewed in our London branch or purchased online. Before I buy a wedding ring, what do I need to consider? Before tying the knot and saying 'I do', it's important to remember your wedding ring symbolises life commitment, therefore your purchase should be considered with both emotion and practicality. As well as where to buy your wedding and engagement ring when it comes to choosing your wedding ring, make sure the ring is the right purchase for you. Does the wedding band fit your finger correctly? Which wedding band are you most comfortable with? Are you looking to pair your wedding ring with your engagement ring? From classic plain metal to patterned and diamond set designs, we provide customers with the greatest range of wedding rings, balancing cost versus quality. 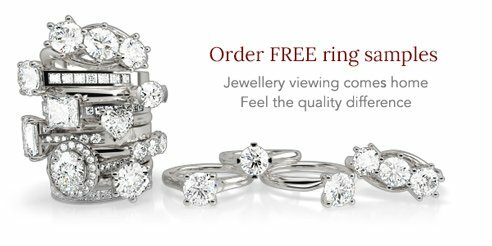 Here at Shining Diamonds we make sure you get the best experience possible when shopping for a wedding ring, we also offer a free samples straight to your door, our delivery services covers all of the UK with an established reputation for diamond jewellery across Cardiff, Manchester and Glasgow. 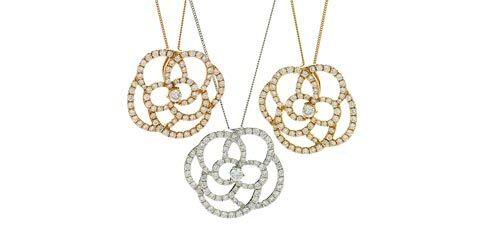 When you purchase a Wedding Ring from Shining Diamonds we are able to provide various finance options, with a number of options available including a 0% Interest Free 6 Month option, a 12 month and 18 month and other options all with varying interest rates. Find out more about finance here. A first class experience from start to finish at Shining Diamonds. 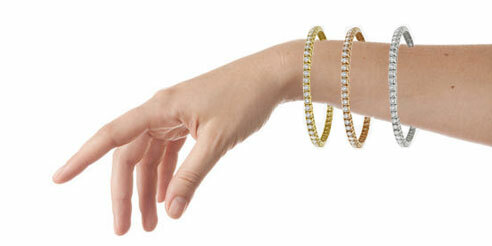 Friendly, knowledgeable and eager to ensure that I obtained earrings that precisely met my target specification. I would highly recommend them.